Home > Departments > Faculty > Marianne Sarkis Ph.D.
Health disparities and social determinants of health, health and hard-to-reach populations, urban health problems (sexual exploitation, opioids), immigration and health, culture in clinical encounters, diasporic health, demographic anthropology, Participatory Action Research (PAR), Community-Based Health Research (CBHR), Patient-Centered and Community-Engaged Research, Somali history and culture, advocacy anthropology, Social Networks Analysis (SNA). Dr. Sarkis is an applied medical anthropologist who focuses on contemporary urban health issues including social determinants of health and health disparities and inequities. Her current work focuses on sexual exploitation, opioids, and gangs as public health concerns. She uses a community-based participatory approach to work with hard-to-reach populations to identify needs, priorities, and research agendas. Previously, Dr. Sarkis focused on African-born health experiences in the US. While most of her work has centered on women’s reproductive health and experiences, she has expanded her research to include structural inequalities, health disparities, and access to medical services for all African-born immigrants and refugees. She integrated storytelling for health education and trust building with immigrant populations. 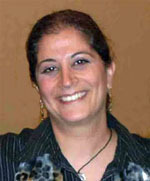 Dr. Sarkis teaches courses mostly related to gender and health, community-based health research, Social Network Analysis, and refugee and immigrant health. She is the former co-chair of Akwaaba Free Clinic in Worcester, and was president of the board of UHAI for Health, Inc. a non-profit organization that seeks to improve the lives of the marginalized African population both in Worcester and in Kenya through health education and promotion, research, screening and referral. In addition to her research, Sarkis worked as a software engineer and graphics designer in Silicon Valley, and continues to work as a web designer/engineer for national non-profits and advocacy organizations. 2014 Alumni Perceptions of their Progress on Four Learning Outcomes: An Analysis Comparing Four LEEP Learning Outcomes with AAC&U’s Essential Learning Outcomes Using HEDS Data. Worcester, MA: Clark University. 2013 Students' Perceptions of their Progress on Four Learning Outcomes: An Analysis Comparing Four LEEP Learning Outcomes with AAC&U’s Essential Learning Outcomes Using NSSE Data. Worcester, MA: Clark University. 2009 Somali Womanhood: A Re-Visioning. In Empathy and Rage: FGM in Creative Writing. Tobe Levin and Augustine Asaah, eds. Lynn Reiner Press. 2008 Review of Hernlund, Y., and B. Shell-Duncan. 2007. Transcultural bodies: female genital cutting in global context. New Brunswick, N.J.: Rutgers University Press. Studies in Family Planning 39(3). 2004 Female Cutting and Anthropology: What took us so long to come around? In Flesh and Blood: Perspectives on the Problem of Circumcision in Contemporary Society. G.C. Denniston, F.M. Hodges, and M.F. Milos, eds. Pp. 119-132. New York: Kluwer Academic/Plenum Publishers. 1999 Activism on the World Wide Web: The role of the Internet in the dissemination of circumcision-related information. In Male and Female Circumcision: Medical, Legal, and Ethical Considerations in Pediatric Practice. G.C. Denniston, F.M. Hodges, and M.F. Milos, eds. Pp. 351-356. New York: Kluwer Academic/Plenum Publisher.